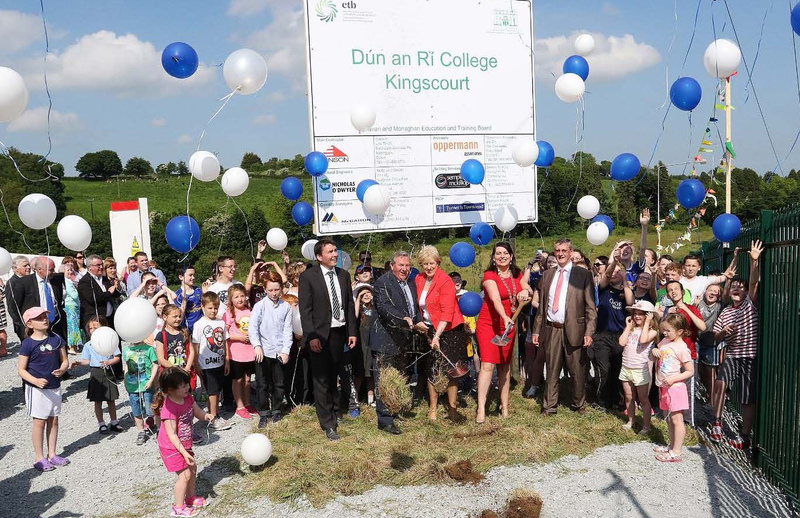 After 60 years of campaigning in Kingscourt, the sod was turned on the new €15m Dún an Rí College Campus by the Minster for Rural Affairs, Heather Humphreys, and local councillor and Cavan Monaghan ETB member, Clifford Kelly in June 2016. The project comprises of the construction of a new 400 pupil Post Primary School at the centre of Kingscourt, Co. Cavan. 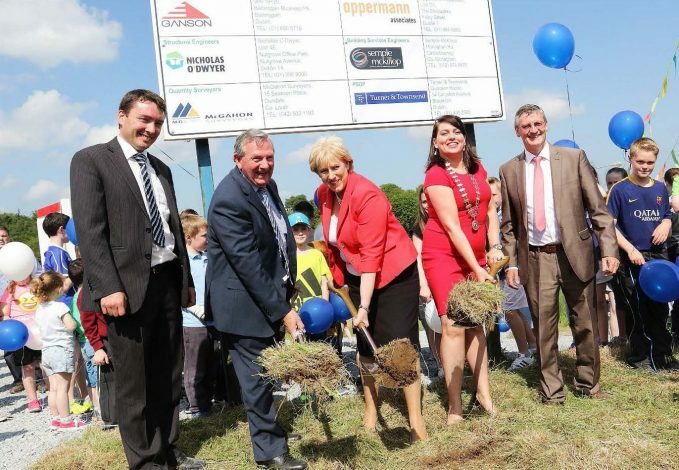 The new build will be approximately 6,000 sq m and it will comprise of 15 classrooms, four specialist rooms – Music, Multimedia Textiles, design / Communications / Technical Graphics, Art and Craft room – a Home Economics room, two Construction and Engineering rooms, one Technological preparation area, library, guidance facilities and offices and a dining facility. The Special Education Needs suite will comprise of central activities base, two base classrooms with associated withdrawal rooms, multi-sensory room, para-educational room, practical activity room and a daily living skills area. 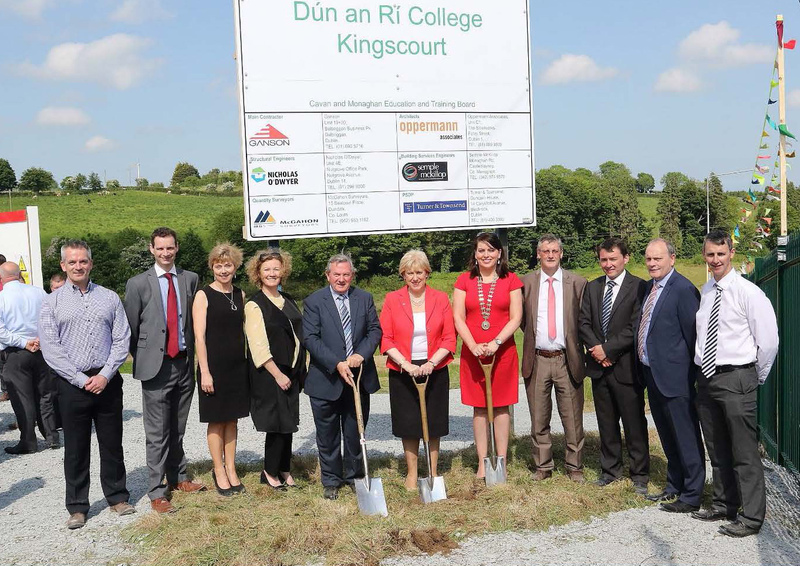 Principal Fergal Boyle vowed that Dún an Rí would be a school of “choice and excellence” and in years to come future students and parents will say “I’m proud to be a part of Dun an Rí College”. 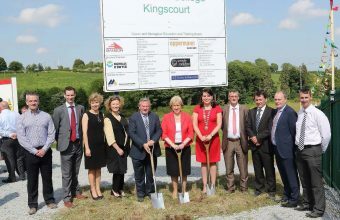 Reflecting on the campaign for a secondary school for the town over the past six decades, Cllr Kelly said: “Sixty years is a long time and I have to say, that for 40 of those years, I have given of myself in no small way to campaigning for a new school in Kingscourt.” He added that the late Arthur McGinley put in a lot of work alongside him in the early years of the campaign. 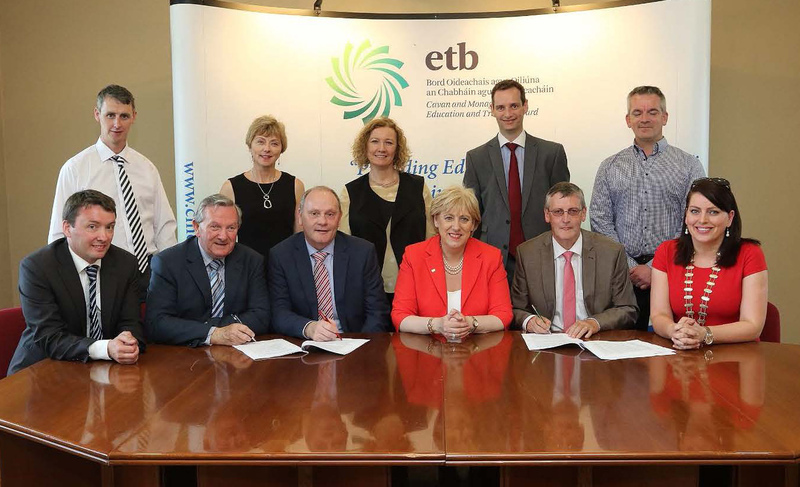 Cllr Kelly also paid tribute to the CEO of the Cavan Monaghan Education and Training Board Martin O’Brien for delivering on the project. He also thanked the parents, who have decided to put their trust in the CMETB and the principal to enrol their children for forthcoming school year. 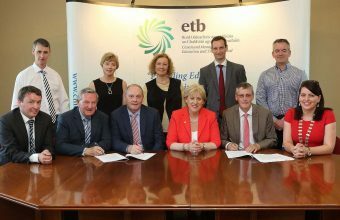 This contract was awarded to Ganson Building Contractors and is scheduled to be completed for the start of the college year in September 2017.